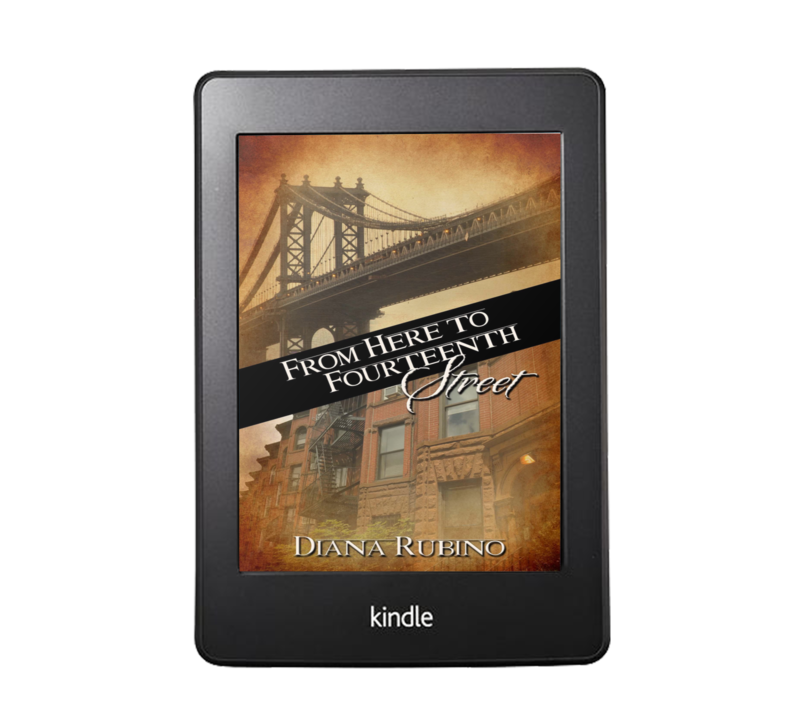 Can an Italian sweatshop worker and an Irish cop fall in love on Manhattan’s Lower East Side in 1894? The answer is a big YES, and once they’re enjoying wedded bliss in their Greenwich Village brownstone, they spend their first Christmas together feasting on her Strufoli! (Italian for honey balls). In FROM HERE TO FOURTEENTH STREET it's 1894 on New York's Lower East Side. 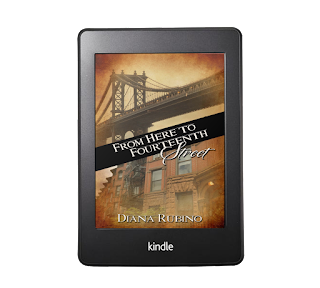 Irish cop Tom McGlory and Italian immigrant Vita Caputo fall in love despite their different upbringings. They know their love can survive poverty, hatred, and corruption. When my grandparents came from Naples and landed at Ellis Island in the early 1900s they brought many recipes with them, but only in their heads. No one brought cookbooks or recipes along with their possessions. A favorite Christmas treat is Struffoli, better known as Honey Balls. One Christmas when I was a kid, I watched my grandmother make them and scribbled down the ingredients as she sifted and mixed and baked and drizzled. Here's an accurate recipe in English! For dough: In the bowl of a food processor, pulse together 2 cups of flour, lemon zest, orange zest, sugar, salt, and baking powder. Add the butter and pulse until the mixture resembles a coarse meal. Add the eggs, wine, and vanilla. Pulse until the mixture forms into a ball. Wrap the dough in plastic wrap and refrigerate for 30 minutes. Cut the dough into 4 equal pieces. On a lightly floured surface, roll out each piece of dough until 1/4-inch thick. Cut each piece into 1/2-inch wide strips. Cut each strip of pastry into 1/2-inch pieces. Roll each piece of dough into a small ball the size of a hazelnut. Lightly dredge the dough balls in flour, shaking off any excess. In a large heavy-bottomed saucepan, pour enough oil to fill the pan about a third of the way. Heat over medium heat until a deep-frying thermometer inserted in the oil reaches 375 degrees F. (If you don't have a thermometer a cube of bread will brown in about 3 minutes.). In batches, fry the dough until lightly golden, about 2 to 3 minutes. Transfer to a paper towel-lined plate to drain. (The rested and quartered dough can also be rolled on a floured work surface into 1/2-inch thick logs and cut into equal-sized 1/2-inch pieces. The dough pieces can then be rolled into small balls and fried as above). In a large saucepan, combine the honey, sugar, and lemon juice over medium heat. Bring to a boil, stirring occasionally, until the sugar is dissolved, about 3 minutes. Remove the pan from the heat. Add the fried dough and hazelnuts and stir until coated in the honey mixture. Allow the mixture to cool in the pan for 2 minutes. Spray the outside of a small, straight-sided water glass with vegetable oil cooking spray and place in the center of a round platter. Using a spoon or damp hands, arrange struffoli and hazelnuts around the glass to form a wreath shape. Drizzle remaining honey mixture over the struffoli. Allow to set for 2 hours (can be made 1 day in advance). Decorate with sprinkles and dust with powdered sugar. Remove the glass from the center of the platter and serve. Note: To toast the hazelnuts, arrange in a single layer on a baking sheet. Bake in a preheated 350 degrees F oven 8 to 10 minutes. Cool before using.